Tilray options on fire as pot-stock frenzy grips market. The craziest stat from that article was “For the week so far, the combined trading volume for Tilray and Cronos Group options was roughly 680,000 contracts, or about 2.7 percent of overall U.S. single stock options activity, Trade Alert data showed.” One thing to keep in mind about Tilray in particular is that its float is only 17.8 million shares and there are a lot of shorts. Yesterday’s volume exceeded its float by nearly 14 million shares. 2018-09-20 20:47:11+00:00 Read the full story. Even those of you more involved in AI than the stock market can see the opportunity here. You can see the run up, the exhaustion, the capitulation. If you feel you have the technical skills to spot these movements algorithmically (ie via your math skills or programming skills) then head over to CloudQuant and show us. Success in the stock market is not about being 100% or 90% or even 80% right, it is more about pushing the odds slightly but consistently in your direction. These opportunities present themselves daily, maybe not to the extent of a TILRAY but there is lots of opportunity out there. 2018-09-24 02:51:32.591000+00:00 Read the full story. CloudQuant Thoughts… Not only do we agree that Jupyter Labs is a huge improvement over Jupyter Notebooks and well worth seeking out but it is also at the heart of our new CloudQuant (soon to be released to the public) system, so it is definitely worth boning up on these useful keyboard shortcuts! Amazon (AMZN) has toyed with the use of UAVs for delivery of its packages. And the availability of recreational drones to hobbyists has become so widespread that air safety has become a big question. What are the stocks that are expected to grow with the advance of UAVs? 2018-09-21 00:00:00 Read the full story. CloudQuant Thoughts… I occasionally receive inquiries from users along the lines of “why this symbol is in this list on this date?” and I try to point out to them that they are being too precise with their model analysis. There will always be disagreements, noise and errors in big data. Your best chance to stand out is to not go with pre-defined lists but create your own, whether that be based on your own measure of how volatile a stock is likely to be, or creating your own unique industry/sector list. We see NVidea (NVDA) popping up with regard to just about every new technological breakthrough.. Automated Cars, AI server farms and now here in the automated drone environment. Whilst the automated drone sector may be a little risky, the likes of NVDA may be less so. Always be vigilant for trading opportunities, then build a model at CloudQuant and if you are right, we can help you turn that observation into $$$. Imagine a world where anyone can communicate using sign language over video. Inspired by this vision, some of our engineering team decided to bring this idea to HealthHack 2018. In less than 48 hours and using the power of artificial intelligence, their team was able to produce a working prototype which translated signs from the Auslan alphabet to English text in real time. People who are hearing impaired are left behind in video consultations. Our customers tell us that, because they can’t sign themselves, they have to use basic text chat to hold their consults with hearing-impaired patients – a less than ideal solution. With the growing adoption of telehealth, deaf people need to be able to communicate naturally with their healthcare network, regardless of whether the practitioner knows sign language. Achieving universal sign language translation is no easy feat. The dynamic nature of natural sign language makes it a hard task for computers, not to mention the fact that there are over 200 dialects of sign language worldwide. Speakers of American Sign Language (ASL) have been fortunate in that a number of startups and research projects are dedicated to translating ASL in real time. In Australia however, where Auslan is the national sign language, speakers have not been so fortunate, and there is next to no work being done for the Auslan community. We thought we might be able to help. 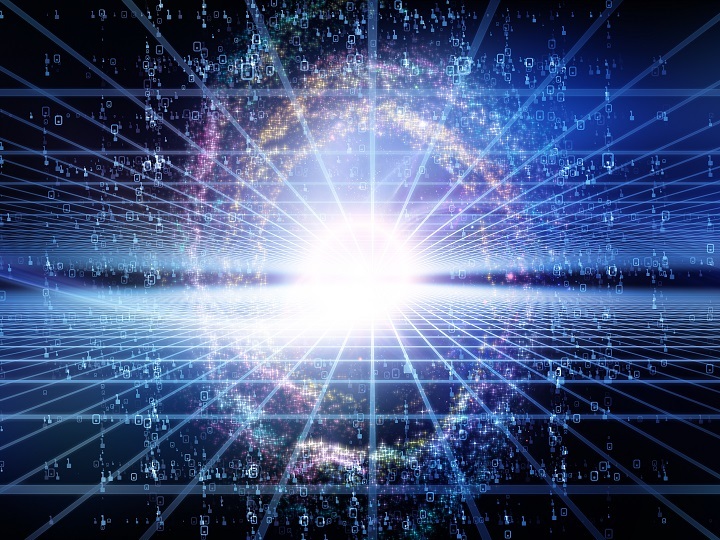 CloudQuant Thoughts… As AI and ML become more ubiquitous and easy to use it will begin to knock out these edge cases for the greater good. Wikipedia is one of modern humanity’s most impressive creations. Who would have thought that in just a few years, anonymous contributors working for free could create the greatest source of online knowledge the world has ever seen? Not only is Wikipedia the best place to get information for writing your college papers, but it’s also an extremely rich source of data that can fuel numerous data science projects from natural language processing to supervised machine learning. The size of Wikipedia makes it both the world’s largest encyclopedia and slightly intimidating to work with. However, size is not an issue with the right tools, and in this article, we’ll walk through how we can programmatically download and parse through all of the English language Wikipedia. 2018-09-23 15:25:36.733000+00:00 Read the full story. CloudQuant Thoughts… Big Data does not come much bigger than Wikipedia. Have a read through William Koehrsen’s algorithmic journey through the modern digital encyclopedia. 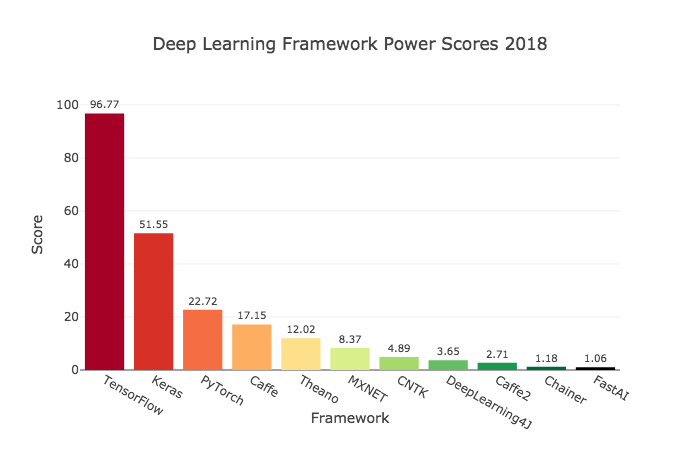 Deep learning is an increasingly popular subset of machine learning. Deep learning models are built using neural networks. A neural network takes in inputs, which are then processed in hidden layers using weights that are adjusted during training. Then the model spits out a prediction. The weights are adjusted to find patterns in order to make better predictions. The user does not need to specify what patterns to look for — the neural network learns on its own. Keras is a user-friendly neural network library written in Python. In this tutorial, I will go over two deep learning models using Keras: one for regression and one for classification. We will build a regression model to predict an employee’s wage per hour, and we will build a classification model to predict whether or not a patient has diabetes. 2018-09-17 08:02:21.849000+00:00 Read the full story. CloudQuant Thoughts… Another nice introductory post that does not lean too heavily into the math but explains by example how to process wage data to build a regression model and diabetes data to build a classification model. The cart pole problem is where we have to push the cart left and right to balance a pole on top of it. It’s similar to balancing a pencil vertically on our finger tip, except in 1 dimension (quite challenging!). You can check out the final demo on repl.it here before we get started. If this is your first time in machine learning or reinforcement learning, I’ll cover some basics here so you’ll have grounding on the terms we’ll be using here. Reinforcement learning (RL) is the field of study delving in teaching agents (our algorithm/machine) to perform certain tasks/actions without explicitly telling it how to do so. Think of it as a baby, moving it’s legs in a random fashion; by luck if the baby stands upright, we hand it a candy/reward. 2018-09-18 Read the full story. CloudQuant Thoughts… A nice introduction to Re-inforcement Learning (RL) in Python. Most people in the deep learning and computer vision communities understand what image classification is: we want our model to tell us what single object or scene is present in the image. Classification is very coarse and high-level. Many are also familiar with object detection, where we try to locate and classify multiple objects within the image, by drawing bounding boxes around them and then classifying what’s in the box. Detection is mid-level, where we have some pretty useful and detailed information, but it’s still a bit rough since we’re only drawing bounding boxes and don’t really get an accurate idea of object shape. Semantic Segmentation is the most informative of these three, where we wish to classify each and every pixel in the image, just like you see in the gif here! Over the past few years, this has been done entirely with deep learning. In this guide, you’ll learn about the basic structure and workings of semantic segmentation models and all of the latest and greatest state-of-the-art methods. CloudQuant Thoughts… Another nice introduction, this time to Semantic Segmentation. 2018-09-23 23:20:18+05:30 Read the full story. CloudQuant Thoughts… So much to learn.. so little time! Workday Analytics Vice President Pete Schlampp on how to ensure that data is collected, shared and visualized in a way that is transparent, truthful and transformative—as well as secure. From pushing corporate messaging to aligning company’s artificial intelligence agendas, researchers courted by Silicon Valley’s big tech giants are now the ones deciding the future of technology. These AI researchers are also at the forefront of another type of arms race — the race to publish groundbreaking papers. David Haussler: University of California’s Scientific Director of Genomics Institute, at the University of California in Santa Cruz. 2018-09-24 07:00:29+00:00 Read the full story. 2018-09-21 16:55:32.406000+00:00 Read the full story. 2018-09-19 Read the full story. It’s been roughly a year since Hurricane Maria — the tenth-most intense Atlantic hurricane on record — a less-reported consequence of Hurricane Maria is an explosion of disease-carrying mosquitoes brought on by stagnant water. (The mosquitoes themselves don’t cause disease; rather, they pick up diseases from infected blood and spread them through bites.) Two years ago, Puerto Rico registered 38,058 confirmed cases of Zika, dengue, and chikungunya. But monitoring, testing, and labeling the more than 40 different species in Puerto Rico can be laborious. Currently, research scientists spend weeks capturing and classifying thousands of mosquitoes across difficult terrain. That’s why Wovenware tapped artificial intelligence (AI) to help. In early August, the company partnered with the Research Trust to develop a machine learning system that can automate the classification of Aedes aegypti, a specious known to carry infectious diseases. Its small team of data scientists are putting together a dataset of mosquitoes images and labels that will be used to train a computer vision algorithm. Typical compression schemes strip data away from files, and when it comes to photos, the results are often splotches, color banding, and other unpleasant artifacts. Try this experiment: Take a snapshot with your smartphone and upload it to Facebook or Twitter. Download the uploaded (and now compressed) image from the web and compare it to the original. You’ll spot the differences pretty quickly. But there’s a way to shrink pics without compromising their quality — or so claim Migel Tisserra, the former machine learning lead at oil and gas giant Santos, and Francis Doumet, a Stanford graduate with two successful businesses under his belt. They’re the cofounders of Pixeldrive, a web-based artificially intelligent (AI) tool that cuts photos down to as little as 10 percent of their original size. AI has been viewed as a “black box” of sorts. Data goes in one end and findings, decisions and insights come out the other, but there’s little visibility into how those findings are reached, and as businesses and consumers alike learn to rely more on AI technology, there’s increasing worry about bias in the findings. Neural networks are only as good as the data that goes in, and that data can be influenced by the people who input it. IBM officials are now offering a cloud-based service designed to detect bias in AI and bring transparency to how AI-powered systems make decisions. The service runs on the IBM Cloud and can be used to manage AI systems from a wide array of tech vendors. At the same time, the company will release a toolkit to the open-source community that will include technology and education tools that others can use to detect and mitigate AI bias. Being able to detect bias and get more visibility into the decision-making process of AI systems is crucial as industries adopt the technology, according to Ruchir Puri, chief architect for IBM Watson and an IBM Fellow. Lexin’s CEO Jay Wenjie Xiao was invited to share his insights on AI as a representative from the fintech sector at a panel discussion under the theme of “A Global Conversation on Artificial Intelligence” on Sept. 18 with other panelists from business, venture capital, and academia. The financial and advertising industries are two sectors where AI has unlocked the most business potential with widespread adoption, Xiao said when asked about what AI means to business. “AI has largely contributed to a revolution in increasing efficiency in the financial industry by lowering the costs of lending, and therefore makes lending more accessible to consumers who were previously underserved,” he said. 2018-09-23 12:41:59-04:00 Read the full story. The Bank for International Settlements, the global regulator, said the increased use of machine learning in high-frequency foreign exchange trading could lead to more efficient markets, particularly the timely incorporation of diverse sources of data in market pricing. The BIS said in a report, Monitoring of fast-paced electronic markets, that a good understanding of artificial intelligence and machine learning is increasingly important for the effective monitoring of fast-paced markets and will require a change in risk management techniques. 2018-09-19 13:09:27-04:00 Read the full story. While machines are on pace to perform more tasks than humans in the workplace by 2025, artificial intelligence (AI) will still add more jobs than it will take away over the next five years, according to a World Economic Forum report released on Monday. The WEF Report titled “The Future of Jobs 2018” was based on a survey of human resources officers, strategy executives and CEOs from over 300 global companies across industries, representing 15 million employees and 20 developed and emerging economies. Upon conducting the survey which accounted for roughly 70% of the global economy, the WEF estimates that development in automation technologies and AI could displace 75 million jobs by 2022, yet create another 133 million new roles as companies rework the division of labor between humans and machines. Meanwhile, employees should expect “significant shifts” in the quality, location, and format of new roles, meaning that the typical full time, permanent employee will be less dominant. Many firms may choose to hire temporary workers, freelancers and specialist contractors for tasks not automated by new technology. 2018-09-17 12:12:00-06:00 Read the full story. Google (GOOGL.O), Microsoft Inc (MSFT.O) and Amazon Inc (AMZN.O) showcased their AI wares at a state-backed forum held in Shanghai this week against the backdrop of Beijing’s plans to build a $400 billion AI industry by 2025. China’s government and companies may compete against U.S. rivals in the global AI race, but they are aware that gaining ground won’t be easy without a certain amount of collaboration. “Hey Google, let’s make humanity great again,” Tang Xiao’ou, CEO of Chinese AI and facial recognition unicorn Sensetime, said in a speech on Monday. 2018-09-18 10:52:02+00:00 Read the full story. 2018-09-20 06:13:13+00:00 Read the full story. Balderton joins the likes of Skype founder Niklas Zennstrom, TransferWise founder Taavet Hinrikus and LoveFilm co-founder Simon Franks as Cleo investors. Launched in 2016, London-based Cleo integrates with users’ bank accounts and then uses AI to analyse spending habits and transaction histories to help with money management. 2018-09-21 14:18:00 Read the full story. U.K. Fintech Startup Cleo Raises $10 Million After Entering U.S.
A London-based company, Cleo, aiming to be the “default interface for millennials interacting with and managing their money,” has received a $10 million Series A funding round, according to TechCrunch, after the digital assistant launched in the U.S. six months ago. Powered by artificial intelligence, the chatbot plans to use the funding to expand to 22 more countries in the next 12 months. The chatbot is primarily accessed via Facebook Messenger and gives users financial feedback across multiple accounts and credit cards. Users are also able to set spending alerts and set aside money, among other features. 2018-09-21 14:19:00-04:00 Read the full story. 2018-09-22 00:00:00 Read the full story. Neural networks are very popular in the field of artificial intelligence applications like object detection or image classification. Now researchers have discovered a way to find out obesity-prevalent areas with the aid of convolutional neural networks. Researchers from the University of Washington, Seattle, have been taking satellite images of the earth and using them to find which people are prone to obesity. The satellite records the surrounds of people living or working in a specific area which is later used to analyse obesity-prone people by gauging habits they might have or are likely to develop based on their surrounding environments. Though this analysis is 64.8 percent reliability, it is quite inexpensive and swift. 2018-09-21 12:54:44+00:00 Read the full story. When the investigative journalist Julia Angwin worked for ProPublica, the nonprofit news organization became known as “big tech’s scariest watchdog. By partnering with programmers and data scientists, Ms. Angwin pioneered the work of studying big tech’s algorithms — the secret codes that have an enormous impact on everyday American life. Her findings shed light on how companies like Facebook were creating tools that could be used to promote racial bias, fraudulent schemes and extremist content. Now, with a $20 million gift from the Craigslist founder Craig Newmark, she and her partner at ProPublica, the data journalist Jeff Larson, are starting The Markup, a news site dedicated to investigating technology and its effect on society. 2018-09-23 00:00:00 Read the full story. An artificial intelligence start-up founded by three insiders at Memorial Sloan Kettering Cancer Center debuted with great fanfare in February, with $25 million in venture capital and the promise that it might one day transform how cancer is diagnosed. The company, Paige.AI, is one in a burgeoning field of start-ups that are applying artificial intelligence to health care, yet it has an advantage over many competitors: The company has an exclusive deal to use the cancer center’s vast archive of 25 million patient tissue slides, along with decades of work by its world-renowned pathologists. Memorial Sloan Kettering holds an equity stake in Paige.AI, as does a member of the cancer center’s executive board, the chairman of its pathology department and the head of one of its research laboratories. Three other board members are investors. The arrangement has sparked considerable turmoil among doctors and scientists at Memorial Sloan Kettering, which has intensified in the wake of an investigation by ProPublica and The New York Times into the failures of its chief medical officer, Dr. José Baselga, to disclose some of his financial ties to the health and drug industries in dozens of research articles. He resigned last week, and Memorial Sloan Kettering’s chief executive, Dr. Craig B. Thompson, announced a new task force on Monday to review the center’s conflict-of-interest policies. Data is the number one reason whydigital marketers have a huge advantage over those that traditional marketing channels. I have noticed one common theme among them. They have constantly found that intuition doesn’t bode with reality. They may think that a strategy that they took would work very well, but then discover that their data shows something very different. They live by the principle that you should always “build strategies around your data.” This is true and Mariya Yao, CTO of Metamaven, and Co-Author of “Applied Artificial Intelligence” states that machine learning is playing a very influential role in the future of digital marketing. Unfortunately, data can be very difficult for even the most astute marketers to analyze. This is why it is often best to allow algorithms to either automate the process or provide actionable feedback that would have otherwise been overlooked. Machine learning is changing the process in ways that we never envisioned before. This isn’t hype. It is a fact. One study by QuanticMind found that 97% of industry leaders believe machine learning is the future of their profession. 2018-09-19 15:45:12+00:00 Read the full story. It’s rare that one technology has the power to improve an entire industry, but machine learning is doing just that for scientists. Regardless of the specific subjects they study, machine learning allows them to make discoveries faster than they otherwise could. As such, it’s possible to make rapid progress that could benefit society at large in ways not even imagined yet. Scientists often process data through means called clustering and ranking. Clustering involves focusing on things sharing common characteristics. Then, ranking puts them in order of importance as defined by certain parameters. One of the tremendously helpful things machine learning can do is cluster and rank quantities of data that are much bigger than people could handle without extremely time-intensive processes. Then, scientists can arrange data in systematic ways and potentially find things out about it that they’d otherwise miss. 2018-09-18 11:00:44+00:00 Read the full story. Robotics and Big Data have been linked for years. 2018-09-23 21:03:45+00:00 Read the full story. If you are thinking AI is a big thing forsmall businesses, then think again. Sure enough, IT powerhouses like Amazon and USP are relying on AI robots to enhance employee experience. But then, the fact is, even start-ups are readily experimenting with AI technologies, big-time. For instance, there’s a pizza start-up in Mountain View, California that is employing several robots to assist humans in assembling and baking pizzas. The point is AI is not just the province of big businesses. Even small businesses are harnessing the power of AI to boost their productivity. 2018-09-20 17:30:59+00:00 Read the full story. 2018-09-17 11:18:03+00:00 Read the full story. So, you’ve heard the dazzling sales pitch on deep learning and are wondering whether it actually works in production. The top question companies have is on whether the promised land of perennial business benefits is a reality. In a previous article, we saw a simple business introduction to deep learning, a technology that seems to have a swashbuckling solution to every problem. A good gauge of an innovation’s maturity level is by understanding how it fares on the ground, long past the sales pitches. At Gramener AI Labs, we’ve been studying advances in deep learning and translating them into specific projects that map to client problems. 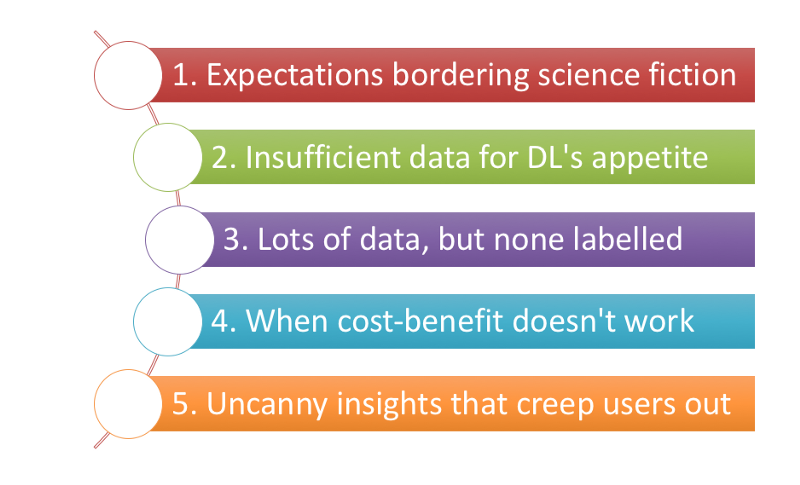 I’ll share some of our learnings from project implementations of DL solutions over the past year. It’s been a mixed bag, with success stories and some setbacks, where we saw the initial charm fade away due to hurdles on the ground. 2018-09-24 02:52:03.856000+00:00 Read the full story. As a global community, we’ve made stunning strides in recent decades, tackling some of the world’s cruellest tragedies. Consider one: child mortality. Every day 17,000 new lives get to be lived by children who would have died just a quarter-century ago. Peace and innovation have been the driving forces of this spectacular progress. Yet some of our toughest challenges, like inequality, haven’t improved—they’ve actually become worse. Malnutrition and preventable disease continue to kill millions, straining health-care systems in both rich and poor countries. And the devastating threat of climate change looms, hitting the poorest the hardest. Microsoft Corp. (MSFT) has launched a series of artificial intelligence (AI) -powered tools meant to help businesses improve their customer service, marketing and manufacturing processes. The new services, which will be made available as part of the company’s Dynamics 365 cloud-based program offerings, form part of Microsoft’s strategy to make its products more competitive with Salesforce.com Inc.’s (CRM) premium AI features. 2018-09-19 02:49:00-06:00 Read the full story. 2018-09-20 12:47:47+00:00 Read the full story. In this article we shall analyse a text document consisting of a short description of Vikings’ era. We will also implement techniques used in NLP to process the data for the machine to understand. 2018-09-18 05:28:28+00:00 Read the full story. Amazon has unveiled a new feature that will allow its AI assistant, Alexa, to tell you what you want and remind you if you’ve forgotten anything. Known as “Alexa Hunches”, the tool allows Alexa to learn how you interact with your smart devices by monitoring everything from your home TV to your lights and kitchen appliances. With smart cancer diagnostics, one-stop-shop diabetes kits and AI systems to improve ambulance pick-ups for patients with chest pain, AstraZeneca (AZN.L) aims to move from simply supplying drugs to become a broad healthcare provider in China. Tech tie-ups with the likes of Alibaba (BABA.N) and Tencent (0700.HK) will not directly lift the British group’s drug sales, since they are not specific for any one company’s products and in many cases will be low-cost or free. But it will expand the overall market and represents a soft power play that dovetails neatly with Beijing’s support for Internet-based healthcare systems to alleviate a lack of doctors, overcrowding and poor grassroots healthcare. 2018-09-19 06:43:33+00:00 Read the full story. The White House released a new cybersecurity strategy today, with several important changes in direction meant to give government agencies and law enforcement partners a greater ability to respond to cybercrime and nation-state attacks. The 40-page document mostly stays the course for past initiatives — like working to strengthen the organizations that make up the country’s “critical infrastructure” industries, including electrical operators and financial institutions. But some of the changes emphasize a shift toward a more offensive cybersecurity posture, a longtime request fromm the National Security Agency and cybersecurity branches of the U.S. Armed Forces. I’ve made a plotting theme for Matplotlib that’s inspired by the default plotting theme used in Gadfly for the Julia programming language. Typically I’d just write the code in Julia, which is what I’ve done for many of my previous blog posts. However, since upgrading to Julia v1.0, I’ve been unable to import Gadfly, which means no more pretty Gadfly plots. So I said to myself “Jonny, it’s time to just create the theme yourself”. And I did! 2018-09-24 02:51:49.164000+00:00 Read the full story. A cutting edge weapon that uses artificial intelligence to scan the battlefield for enemy movements has been successfully tested for the first time. The system, that was developed by British experts, uses space age technology to monitor and track opposing forces in built up areas. It can then rapidly flag dangers to soldiers, giving them an “edge” in a warzone, the Ministry of Defence (MoD) said. 2018-09-24 00:00:00 Read the full story. 2018-09-20 20:31:22-07:00 Read the full story. 2018-09-18 00:00:00 Read the full story. m early generation Native Graph Technologies, and introduces TigerGraph – the world’s first and only NPG system. TigerGraph is a complete, distributed graph analytics platform that supports web-scale data analytics in real-time, delivering incredible loading speed, fast query execution and real-time update capabilities…. At a global summit on artificial intelligence in Washington last November, Eric Schmidt, former executive chairman of Alphabet, the parent company of Google, delivered a stark warning on China’s technological prowess. “By 2020, they will have caught up. By 2025, they will be better than us. By 2030, they will dominate the industries of AI,” he said. Amazon has unveiled a line of electric plugs, microwaves and clocks powered by its Alexa digital assistant as it sought to position itself at the centre of the smart home. The gadgets see the company’s Alexa voice assistant extend well beyond the line of Echo smart speakers it first released in 2014. Amazon’s Echo, which uses artificial intelligence to respond to voice commands, has become a surprise hit in many homes, but the company’s grip on the market for smart speakers has come under threat by rival devices from Google and Apple. By significantly expanding the gadgets it sells that work with the Echo, the company hopes it will lock consumers into using its software. When it comes to how artificial-intelligence technology might affect society, there are a host of things to worry about, including the massive loss of jobs and killer robots. But the best way to avoid such negative outcomes may be to ignore them, more or less.